On the 9th of November Mickey Finn’s will run their very first Dine in the Dark event and its set to be an exceptional evening. 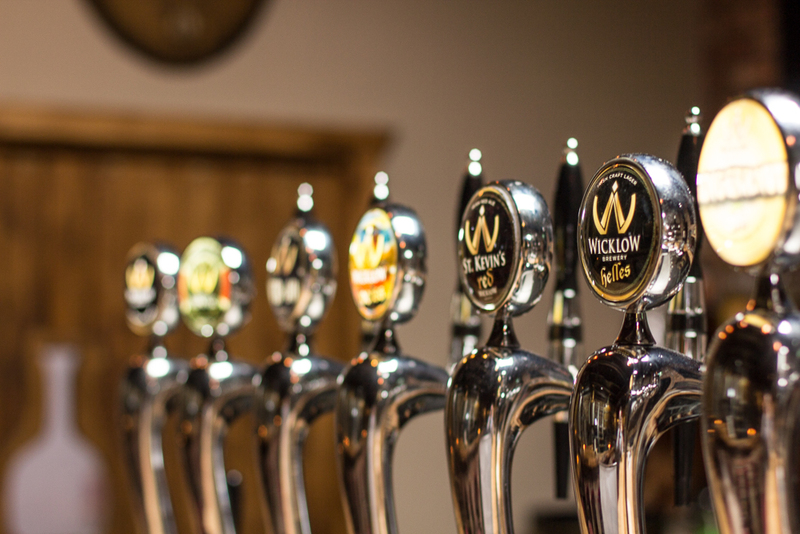 The Wicklow Brewery opened its doors on 5th September 2014, recognising increasing demand for craft beers! With the Craft Beer revolution currently at its peak, they ceased this wonderful opportunity to provide their customers with a unique experience. On the 9th of November Dine in the Dark customers will be treated to a mouth-watering 5 Course Tapas Style Dining Experience. Diners wear blindfolds whilst indulging in a sensory menu paired with delicious samples of Wicklow Brewery Beer. The meal becomes a remarkable sensory encounter that heightens people’s sense of taste, touch, smell, and communication – and most of all, fun! This exclusive event is €45.00 per person with €10 going to the NCBI. Numbers limited to Bistro only, so pre-booking essential. Toying with the idea of a micro brewery for some time as their tourists in Mickey Finn’s Pub were constantly looking for a local beer. Call 0404 41661 to book your place today!